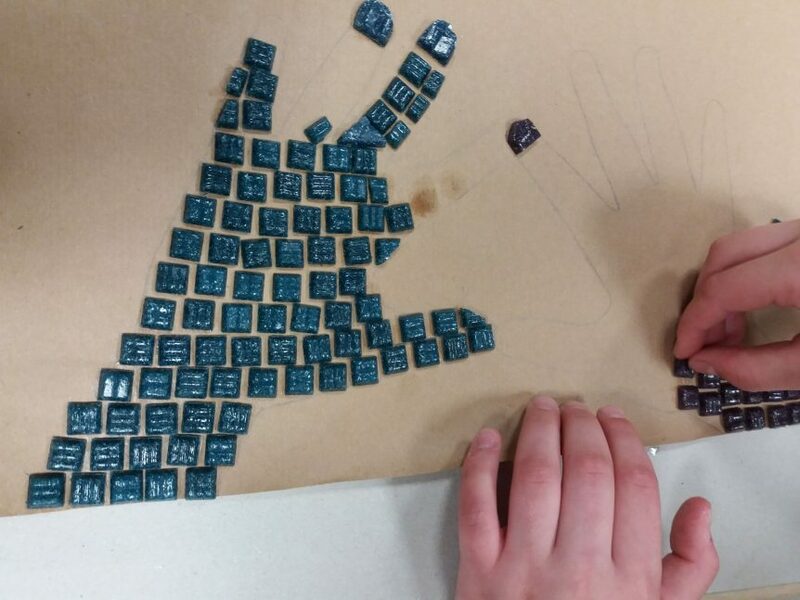 Boys and girls from St Teresa’s Youth Club, Glen Road, Belfast are working on mosaics on their Landmarks project. Artist and facilitator Dawn Aston is leading them through this creative process. The design themes chosen and developed by the group, show a range of images such as hands, butterflies, a cross and heart in their artwork. The piece will be hung inside their centre. They are progressing well as the children are engaged and enjoying the workshops.